U.S. retail sales of medium-duty trucks inched higher overall in August, WardsAuto.com reported as the lighter weight classes led the way, and a leading market analyst raised his forecast for 2018. Sales of Class 4 through Class 7 trucks reached 21,370, up 1.7% compared with 21,010 a year earlier. “It feels OK,” Steve Tam, vice president of ACT Research, said of the direction of the market. Earlier, Tam forecast sales gaining about 5% this year compared with last year, but the accumulation of sales over the months now have the annual total building at a stronger pace. Year to date, sales have totaled 157,263, up 7.1% from the 2017 period when they were 146,811, according to Ward’s. Class 7 sales slipped 1.4% to 6,906 vehicles. Two truck makers’ brands accounted for 78% of the total — and were separated by 130 trucks. Freightliner sold 2,774 units. International Trucks sold 2,644. Class 6 sales rose 0.8% to 5,490 compared with 5,449 a year earlier. Freightliner at 2,140, Ford Motor Co. at 1,302 and International with 1,044 were the market leaders. Class 5 through Class 4 posted a 4.9% gain as sales climbed to 8,974. Ford Motor Co. overshadowed all other truck makers in Class 5, selling 4,425. Isuzu Commercial Truck of America Inc. again dominated in Class 4 with 1,179 sales. Looking ahead, sales seem to be lumpy in the final three months of the year, Tam said. “It will be a seesaw pattern [from a seasonal perspective] as we close out the year,” he said. In related news, Loveland, Colo.-based Lightning Systems’ electric powertrain is headed to Class 6. Orders are being accepted and delivery of the new product will begin in the fourth quarter, the company said. The first order for 50 has been placed by Schenectady, N.Y.-based Zeem Solutions and will be integrated onto the Chevrolet 6500XD Low Cab Forward model. 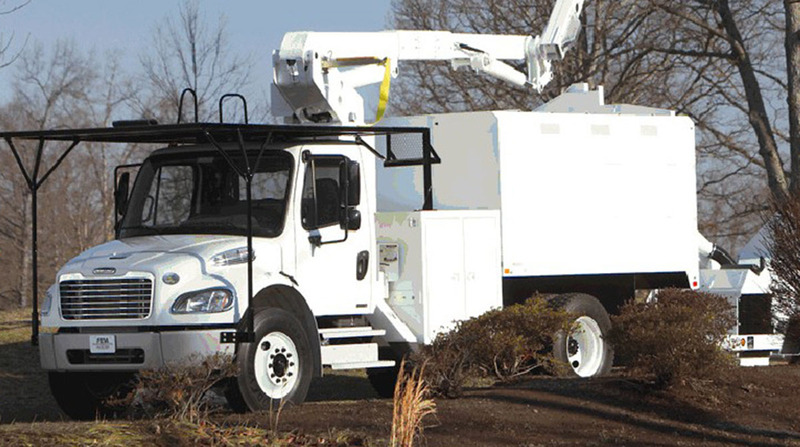 Zeem is a commercial electric vehicle service provider for fleet operators across the United States.